January 2, 2016 -- North Shore Schools Superintendent Dr. Edward Melnick will be giving his initial budget presentation for the 2017-18 school year at the Thursday, January 12 Board of Education meeting. ​The spending plan is being developed at a time of declining teacher pension costs and a rising inflation growth factor which is used to figure each individual school district's tax levy limit. Both developments should somewhat ease financial pressures on school districts across New York State. In late November, the New York State Teachers Retirement System (NYSTRS) announced that school district pension obligations as a percentage of payroll will decline by as much as 20% compared to this year. Currently school districts must contribute 11.72% of payroll for teachers and most administrators to the retirement system. 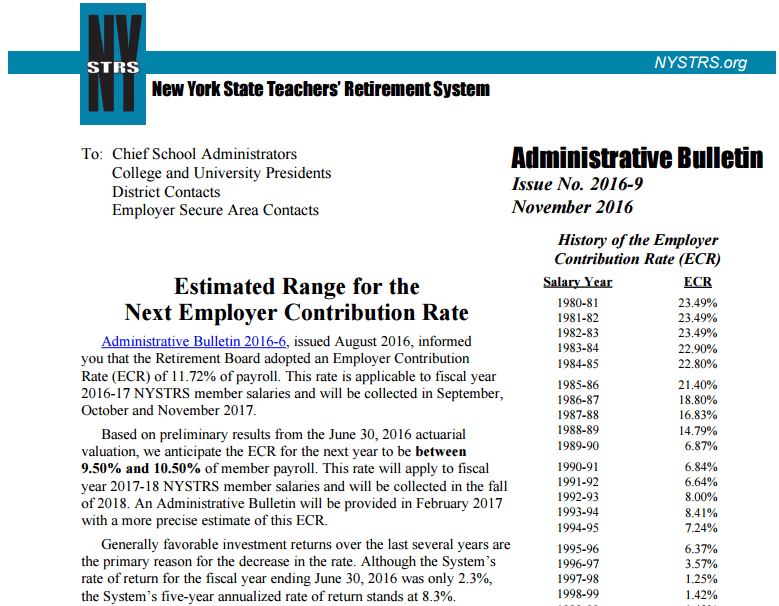 Next year, NYSTRS has said that that percentage will decline to somewhere between 9.5 to 10.5% of payroll. The change could save the district over $1 million compared to the current year. 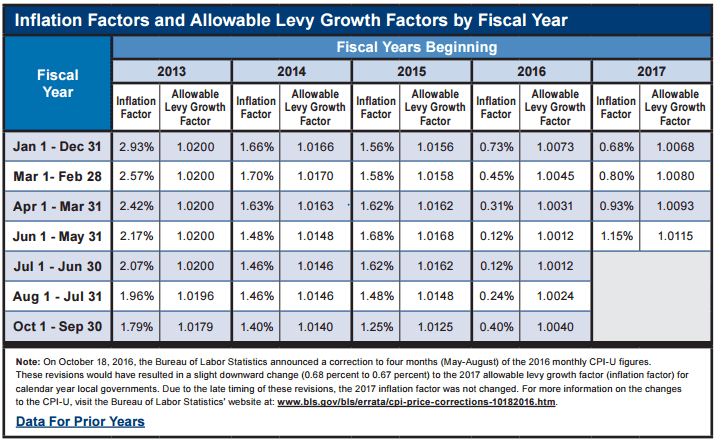 Although the tax cap for next year is still unknown, the "inflation factor" that each district uses to determine its tax levy limit will almost certainly be about ten times higher than what was used for the current budget year. According to numbers released by the New York State Comptroller's office, the inflation factor has already increased to 1.15%, and with the consumer price index continuing to rise, it is likely that it will be above 1.2% - still below the 2% maximum allowed in years with higher inflation rates, but significantly greater than the 0.12% that was imposed on districts for the current budget. The change will ease pressure on the revenue side of the budget for this district by about $800,000 compared to the current budget year. The lack of a resolution to teacher contract negotiations greatly complicates next year's budget picture. District teachers have been without a contract since July 1, 2016. The Superintendent has been mum regarding progress of the negotiations when asked by Northwordnews at at least three school board meetings since this past summer. In 2012 when the last teacher's contract was agreed to, a time of record single year increases in pension costs, the district adopted a budget $1.2 million below the tax cap. At that time, the teacher's union granted significant concessions with regard to salary increases that would have otherwise been granted under New York State's "Triboro Amendment" which keeps in place the provisions of the previous collective bargaining agreement when teachers or other public employees are without a contract. 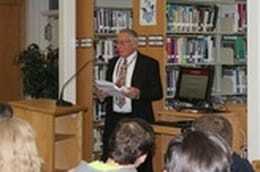 The budget presentation meeting will take place at the North Shore High School Library and begin at 7:30 pm. A student recognition ceremony will precede the presentation.